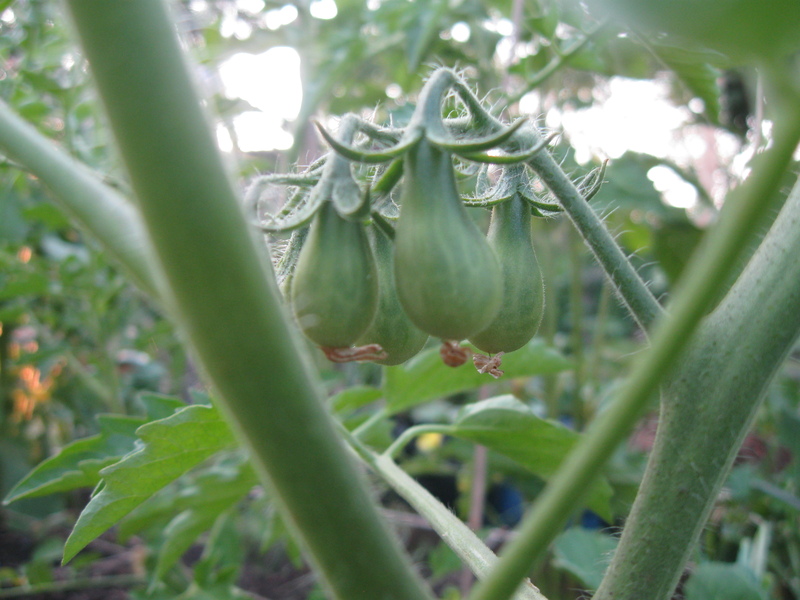 I swung by the garden on Thursday after work. It was still early enough in the evening to be able to see what was happening, unlike Tuesday night. I pulled up some carrots, which turned out to be mostly greens. I don’t particularly like the taste of the green tops so I just took home the roots. They tasted OK. 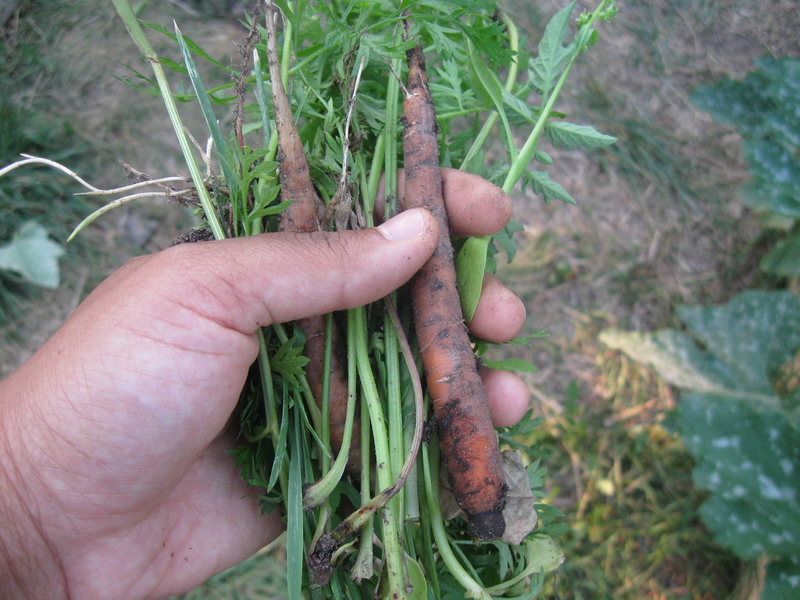 I think my carrots did better in the fall last year. 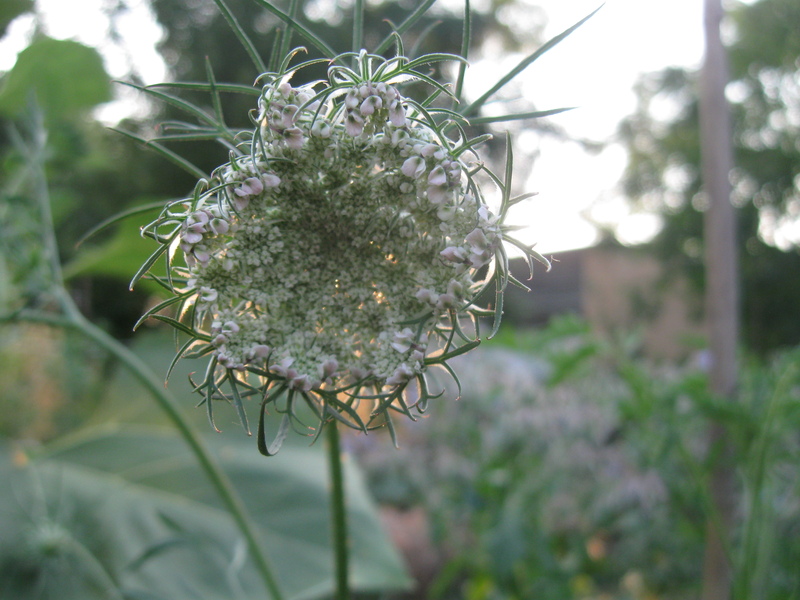 One of the carrots bolted and sent up this weird-looking flower. When I pulled it up there was no root. I suppose I could have taken the flower head and tried to dry it for the seeds, but carrot seeds are really tiny and I didn’t feel like dealing with it. Plus I still had tons to plant for fall harvest. Discovered another garden critter as I was closely inspecting one of several sunflowers I have in the plot (that’s another story, why I have so many sunflowers). 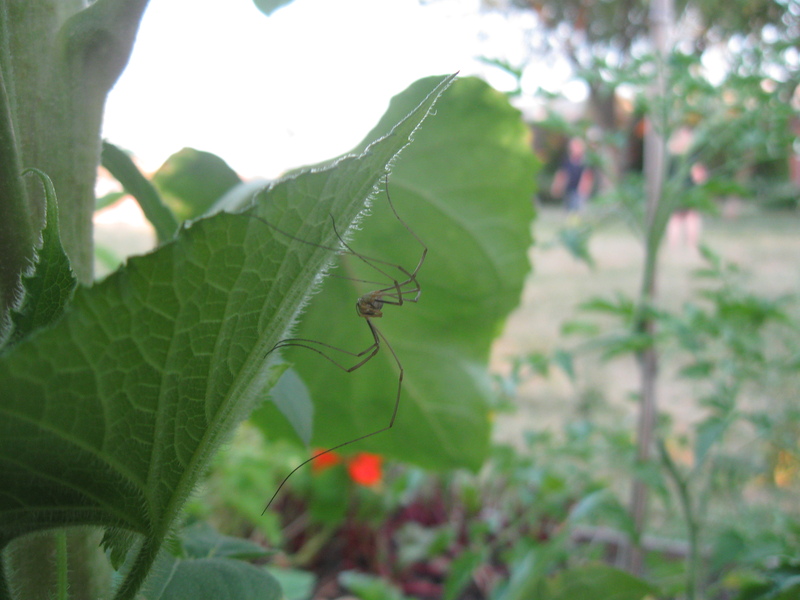 Daddy long legs are one breed of spider that I don’t find scary. In fact, they’re pretty cool. Looks like a daddy long legs! 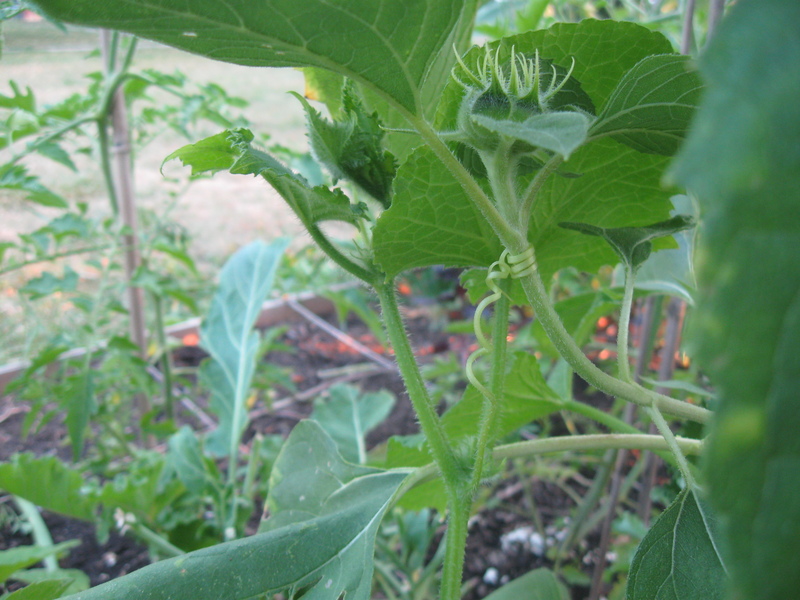 The cucumber is getting bigger and using the nearby sunflower as a trellis. 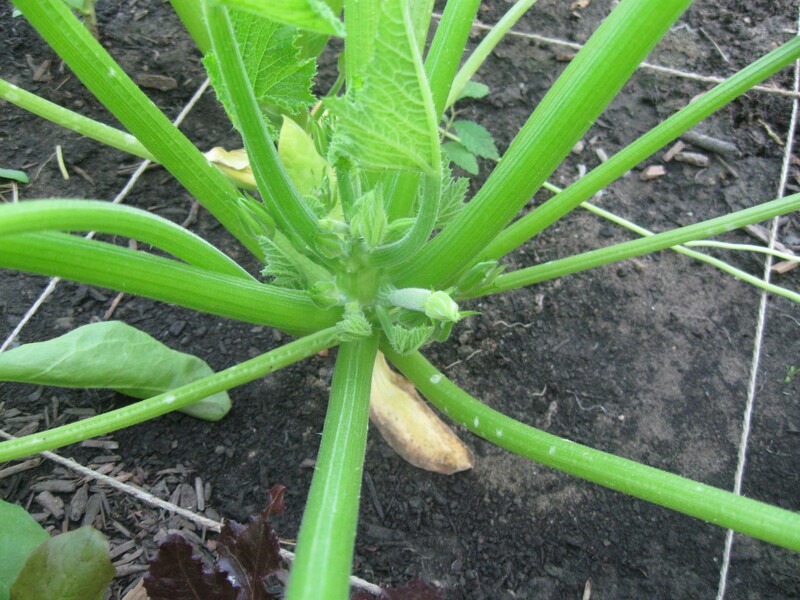 I got the idea of planting the two together from the March 29th post of Oakvale Green Community Garden‘s Facebook page entitled Spring Gardening: *8 Unusual Planting Tips You Can’t Miss. Apparently sunflowers improve the taste of cucumbers. Who knew! I think I saw a cucumber beetle on the zucchini: a bright yellow, black stripped little guy. I remembered seeing a picture of it somewhere but couldn’t remember if it was a good guy or bad guy in the garden. Turns out it’s a bad guy that will attack my cucumbers and zucchinis so I’ll have to keep an eye out for it. 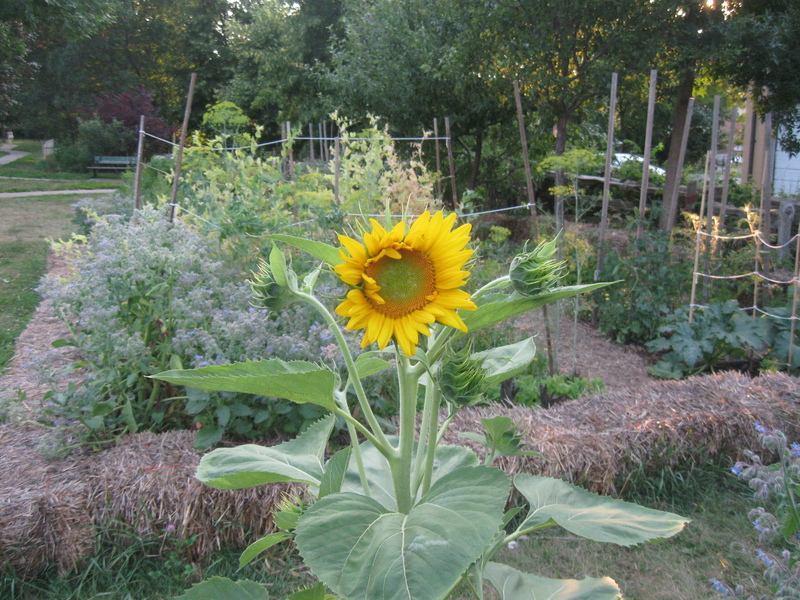 Of the many sunflowers I have in the plot, only one of them has fully opened. 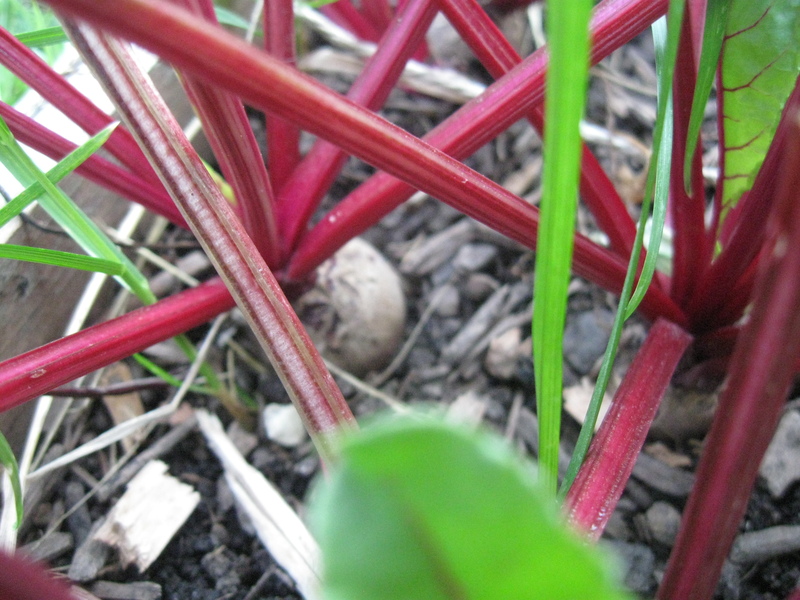 From what I remember of Square Foot Gardening technique, beets should be pulled when they are about 2 1/2 to 3 ” in diameter. When they get too big, they aren’t as tasty. I plan to pull some this weekend and plant some more in the fall. I think they did better in the fall last year, just like the carrots. My garden neighbour asked what type of tomatoes I had and tried to arrange a swap for later in the season. I have red and yellow pear tomatoes and he has brandywine and some other type of hierloom. Such community.